Plasmor Limited is a privately owned concrete block and concrete block paving manufacturer supplying a comprehensive range of over 1000 concrete products to the building industry throughout the UK. Established in 1959, the Plasmor Group of companies has grown to be one of Britain’s largest independent concrete products manufacturers. A continual programme of capital investment and new product development contributes to sustained organic growth. Plasmor’s commitment to research and development, in house engineering excellence and the deployment of leading edge technology, has gained the Company recognition as pioneers in the building products industry. Together with the highest levels of customer service through understanding, responsiveness, adaptability and flexibility, customer satisfaction is unrivalled. Recent significant investment and innovation can be found in the Plasmor expanded clay manufacturing process. 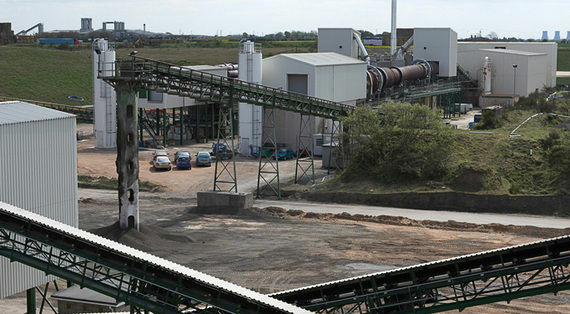 As the closure programme of traditional coal fired power stations accelerates, in order to secure long-term sources of supply of quality block making aggregate and absolve the need to import aggregates, Plasmor have pioneered the expanded clay process in the UK. Expanded clay nodules are produced by sophisticated pyrogenic technology whereby geochemically specific clay is expanded in a rotary kiln at a specifically controlled temperature and rate of flow. 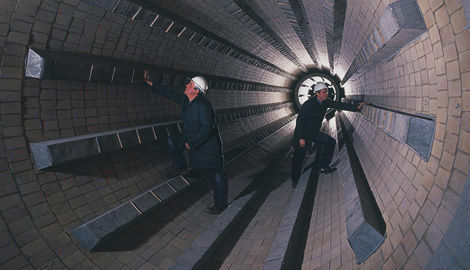 Such has been the success of this the first kiln in the UK, a second kiln was commissioned in 2007. Continual new product design and development responds to the ever-evolving needs and demands of the dynamic construction materials market. The Plasmor product range provides effective, economic, practical and sustainable solutions for Building Regulations, Energy conservation regulations, Health and Safety requirements and industry best-practice. The Company’s innovation and high quality products can be found everywhere in commercial, industrial, residential and prestigious building projects in the private and public sectors. 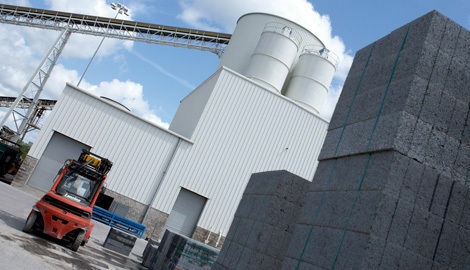 The impressive Plasmor product range has grown to over 1000 concrete products. In the facing masonry market, a bespoke range of ARCHITECTURAL MASONRY is supported by well established high profile brand names such as STRANLITE, FIBOLITE, AGLITE ULTIMA and PLASCON. In the concrete block paving market best selling brands are PLASPAVE, SORRENTO, COMO, AMALFI, MONOPOLI, PREMIA, and PERMI 8. National distribution is achieved from state of the art manufacturing plants strategically situated in Yorkshire, Nottinghamshire, Cheshire and County Durham. Customers in the South East and London are serviced by two distribution depots which receive daily stock deliveries by a unique rail freight system utilising the Company’s own specially converted railway wagons which form daily dedicated block delivery trains. Translift Freight Limited, a member of the Plasmor Group of Companies, operate a modern, professional and highly efficient transport fleet of tippers, tankers and block delivery vehicles together with a fleet of rail wagons. Flexibility in product delivery is another key to the Company’s success and continued investment in a considerable fleet of various size crane off-load vehicles ensures consistent and reliable delivery to customer requirements. Plasmor is a Quality Assured Company, producing to British and European Standards and is intrinsically committed to the Social, Economic and Environmental elements of Sustainability. Plasmor constantly strive to enhance the Company’s sustainability credentials in a number of ways. These include employing Rail Transport wherever possible thus reducing lorry movements, reducing dependency on quarried virgin aggregates, maximising the use of waste, reclaimed or recycled materials and effecting significant energy saving initiatives in both production and distribution activities. 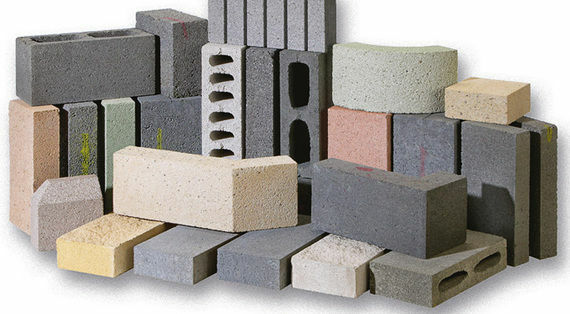 Plasmor are members of the Concrete Block Association (CBA), the trade body representing the block industry. We are also associated with Interpave, the precast concrete paving and kerb association, who are an essential source of information on concrete block paving in commercial and domestic situations.